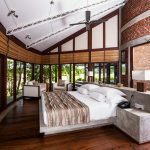 Once a chieftain’s mansion, Ulagalla features a 150-year-old mansion at its centre, with 20 private, ecologically-built pool villas spread across 58 acres of lush greenery. 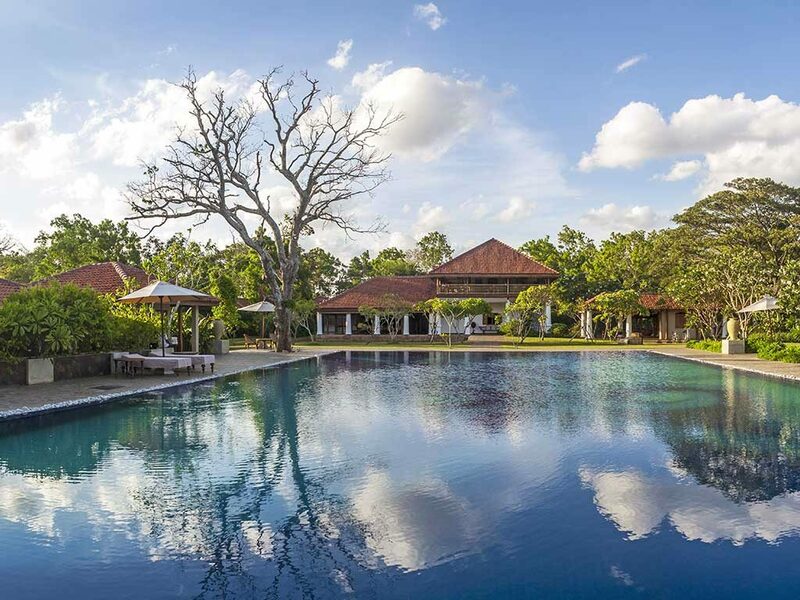 With its own solar farm generating half of its own energy requirements, Ulagalla is truly a unique boutique hotel in Anuradhapura. Enjoy the ambiance of ancient kingdoms or nature-based adventures whilst immersed in luxurious, ecologically-sustainable beauty. The lush environment, stunning landscaping, and exquisite attention to comfort makes for an unforgettable experience amidst a green oasis. Ulagalla is also just a 30 mins drive away from Anuradhapura and an hour away from Sigiriya, the ancient rock kingdom also known as the Eighth Wonder of the World. It’s complex engineering and architectural feats and world-famous frescoes are just some of its defining features, and if you’d like to explore, you can head that way whilst sight-seeing in Anuradhapura as its even closer in proximity from the city. We call them ‘Pool Villas’ – and you have 20 to choose from, but each is a sanctuary to hide yourself away from the cares of the world and be treated like royalty. Each one is a special place to take refuge in, be surrounded by beauty and feel at one with creation itself. Which view would you like to admire: A lush green paddy field, an enchanted forest, or the still expanse of a lake? Whichever you choose, you have a wide terrace and picture windows to feast your eyes from here at Ulagalla, definitely one of the most unique of all the hotels, in Anuradhapura and Cultural Triangle. 58 acres of sprawling grounds can be navigated by the bicycles provided or call the front desk to book your battery powered golf buggy to drive you about. The landscaped gardens heavy with flowering plants warp around the Olympic size pool that sparkles in the Sun. A few steps and you walk into the cool comforts of the luxury Ayureveda Spa offering treatments combining all the healing herbs Sri Lanka is renowned for; thus making Ulagalla one of the most special hotels in Anuradhapura Sri Lanka. The restored mansion houses the Liyawela restaurant and wine cellar. A pool table and an array of books are yours to indulge all while you listen to the cicadas and watch the flocks of birds fly from tree to tree. A helipad is built on location for the discerning traveller. You can enjoy a Helicopter tour from the Colombo international airport or the Ratmalana airport and that will be a convenient and more enjoyable way of travelling to the resort. Heaven hides, waiting for those who wish to find its pleasures. Surrounded by wattle walls and lush foliage that conceal its presence from all but the ones who seek it, our luxury spa will treat you to some wonderfully indulgent pampering. Screened from the world and its cares, our unique spa is built to resemble an underground cavern of perfect tranquillity. Greenery surrounds you from everywhere, lying quietly in this serene world, the wonders of spa therapy are yours to experience. From a simple massage or beauty treatment to a full course of therapeutic care to rejuvenate yourself from top to toe.